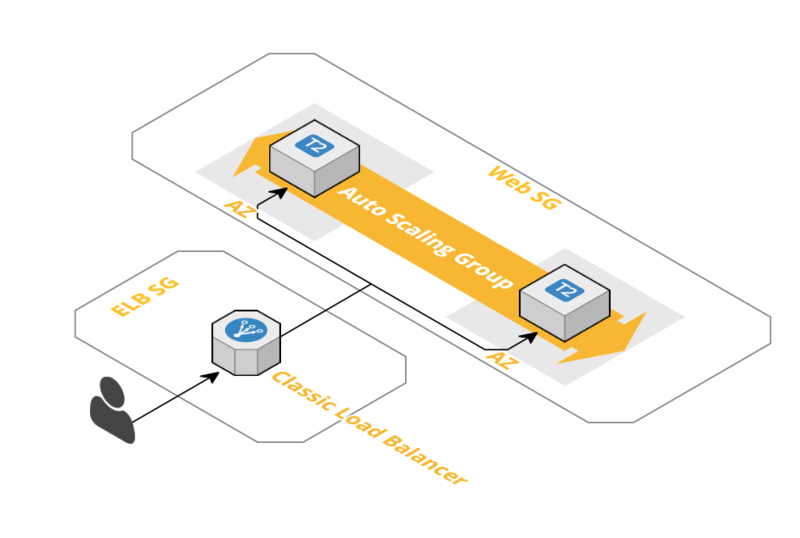 Auto Scaling helps you maintain application availability and allows you to scale your Amazon EC2 capacity up or down automatically according to the defined conditions. You can use Auto Scaling to help ensure that you are running your desired number of Amazon EC2 instances. Auto Scaling can also automatically increase the number of Amazon EC2 instances during demand spikes to maintain performance and decrease capacity during lulls to reduce costs. Auto Scaling is well suited to applications that have stable demand patterns, or that experience hourly, daily, or weekly variability in usage. Elastic Load Balancing (ELB) allows the distribution of incoming traffic to your Amazon AWS infrastructure across multiple instances. This represents a great tool in avoiding failures in your applications and web traffic. ELB automatically detects failures in your EC2 instances and redirects traffic to other available instances. We will create Classic Load Balancer to load balance the traffic to the instances that will be launched in the Auto Scaling group that we will also create. We will follow the security best practices by denying direct access for the EC2 instances by allowing requests coming only from the Load Balancer. To make sure that our application scales, we will configure some Scaling Policies to scale the infrastructure up and down based on the usage. To do so, we will create a couple of CloudWatch Alarms to monitor a particular metric and trigger the scaling actions. Do you have questions about this Lab? Contact our cloud experts by sending an email to support@cloudacademy.com. 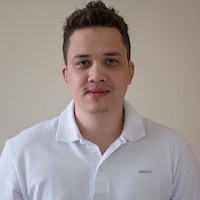 Eric Magalhães has a strong background as a Systems Engineer for both Windows and Linux systems and, currently, work as a DevOps Consultant for Embratel. Lazy by nature, he is passionate about automation and anything that can make his job painless, thus his interest in topics like coding, configuration management, containers, CI/CD and cloud computing went from a hobby to an obsession. Currently, he holds multiple AWS certifications and, as a DevOps Consultant, helps clients to understand and implement the DevOps culture in their environments, besides that, he play a key role in the company developing pieces of automation using tools such as Ansible, Chef, Packer, Jenkins and Docker.